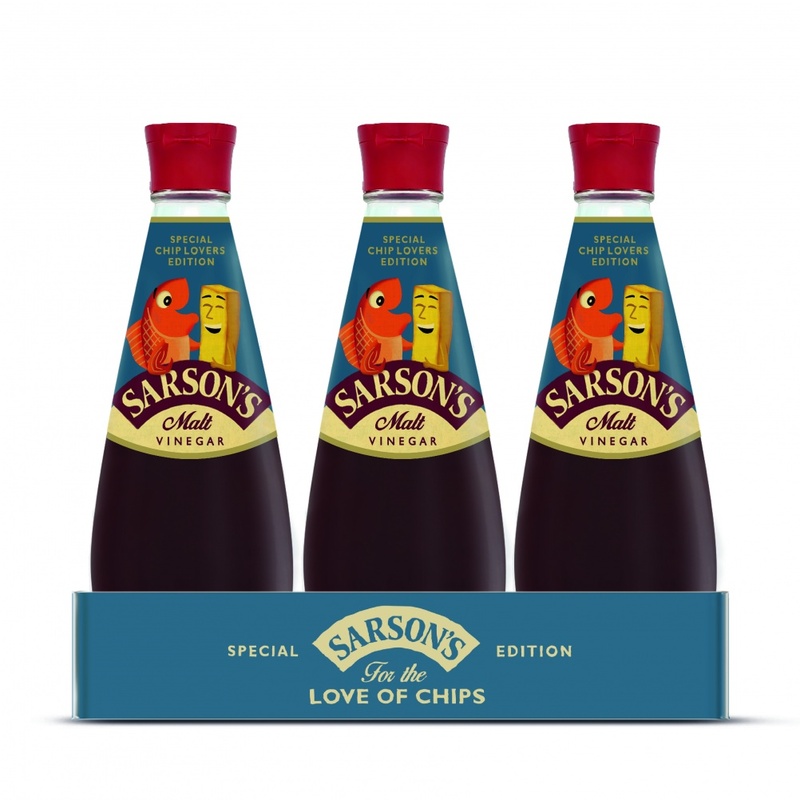 Consultancy Parker Williams has designed limited edition “vintage” packaging for Sarson’s vinegar. The redesigned bottle is available in supermarkets until the end of this month, and aims to appeal to younger customers while remaining “recognisable”, the consultancy says. The background colour of the bottle has been changed from Sarson’s regular red to blue. An illustration of fish and chips by Paul Thurlby has also been added, because of the images’ “strong connotations of Britishness”.